Combat Hapkido is an extremely realistic and versatile discipline of self protection that includes an extensive variety of joint locks, kicks, strikes, take downs, pressure points, ground grappling, disarming techniques and the use of selected weapons. The result is a comprehensive Self Defense system enjoyable to learn, safe to practice and most of all totally effective. Combat Hapkido’s dynamic concepts are based on scientific principles of anatomy and biomechanics, as well as psychology and strategy. It is well suited for men and women of all ages and sizes because physical strength and athletic abilities are not essential. The emphasis is on redirecting the assailants’ aggression and power back toward them with little effort and minimum force on your part. 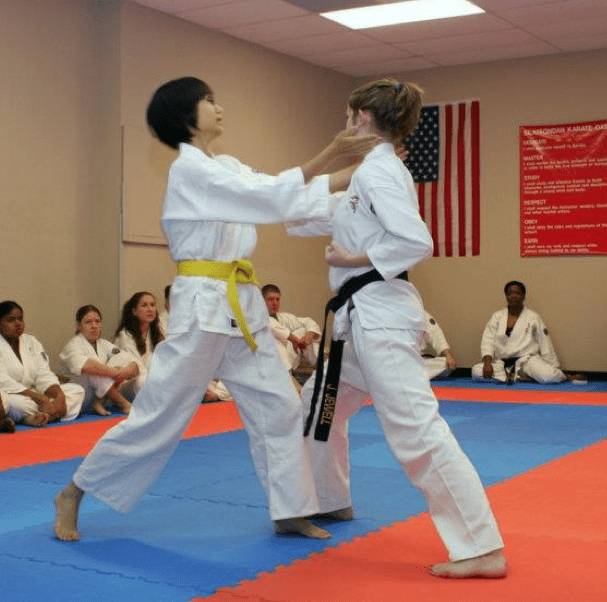 Combat Hapkido is ideal for those individuals who do not have the time, desire or ability to commit themselves to the demanding study of a traditional Martial Art and are not interested in the “sport” aspect required by many systems. The essence of Combat Hapkido is pure Self Defense. It is the synthesis of scientific principles, realistic applications and plain common sense. Combat Hapkido was developed by Grand Master John Pellegrini, and differs from other Hapkido styles philosophically as well as technically. For more information on our Grand Master check out his web-site at International Combat Hapkido Federation.